Poker Stars is the largest online poker site in the world. You can benefit from numerous features including 24/7support, fast and reliable withdrawls and unbeaten software. Choose from a variety of games and levels ranging from micro stakes to the world’s highest stakes. Poker Stars runs the largest online tournament series in the world – World Championship of Online Poker (WCOOP), Spring Championship of Online Poker (SCOOP), Turbo Championship of Online Poker (TCOOP) where millions of dollars are being given. Also here you can play some of the most famoust weekly tourmanets like Sunday Milllion, Sunday Warm Up, Sunday Storm as well as many BIGs, HOTs and many more. 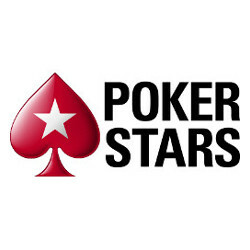 Poker Stars is rated as one of the top online poker sites for tournaments by TopPokerValue.